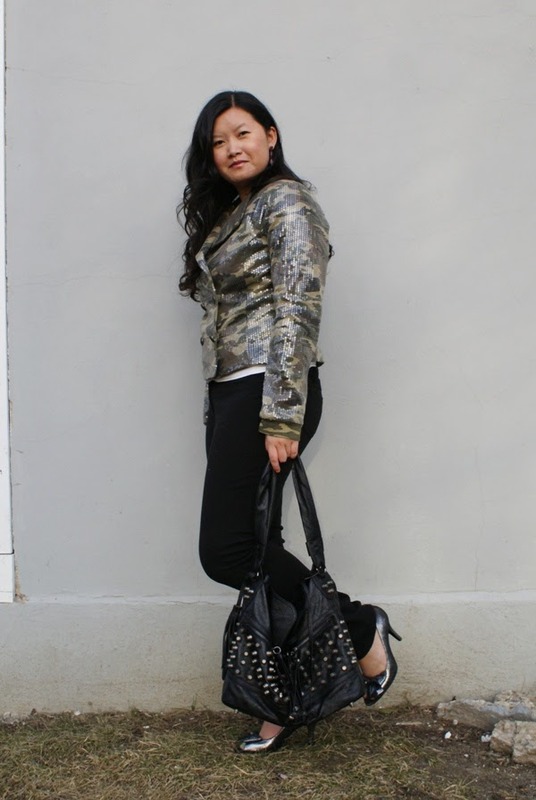 I love this sequin knit blazer. 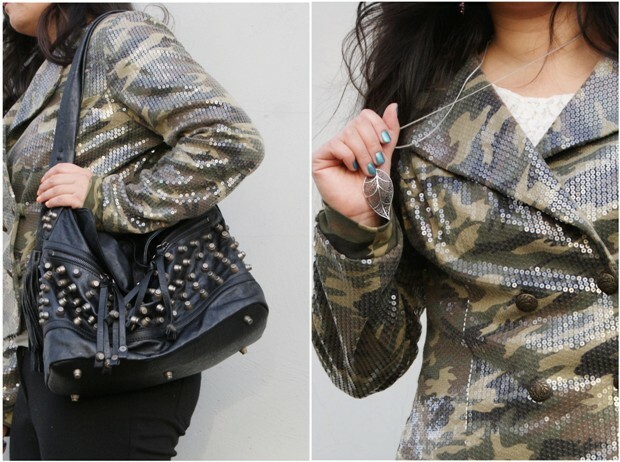 It quite oxymoronic: sequined camouflage - hehe, it makes me laugh! My dad likes to hunt, so when I was young, I would occasionally go with him to Ganger Mountain to buy hunting and camping gear. I remember looking at all the camouflage print tents, jackets, and boots and thinking, "I wish it all came in pink camouflage or at least have some sparkles." I was a girly girl even then. This is also my first time doing a Bloggers Do It Better challenge hosted by Kristina from Pretty, Shiny, Sparkly. 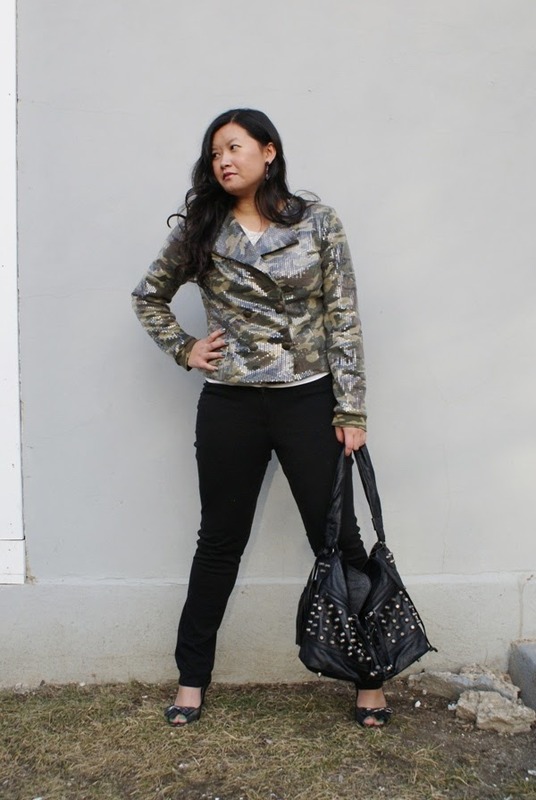 Check out the other BDIB bloggers here if you would like to see more sequins. 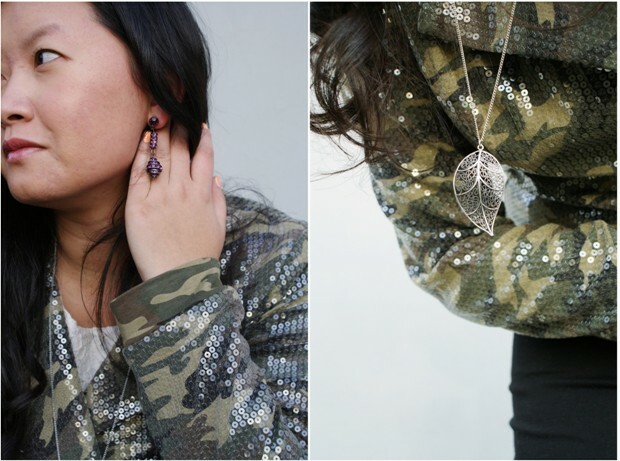 I kept my jewelry subtle so as to not be too 'sparkly.' I got this necklace years ago from Forever21 for about $3 - it's cheap but it's one of my favorites. I couldn't resist these shoes in the clearance section of DSW last summer. They're so cute and comfy! Are you still wearing sequins even though it's post-holiday season?